Basic Attention Token (BAT) Pros & Cons - Blockchain Digital Ad Exchange! Basic Attention Token (BAT) Pros & Cons – Blockchain Digital Ad Exchange! Privacy, security, and online identity are becoming growing concerns these days among Internet users. But what if there is a way to surf the internet safely and anonymously, without having your data exploited? What if you could earn money by simply viewing ads? Are you keen to try? 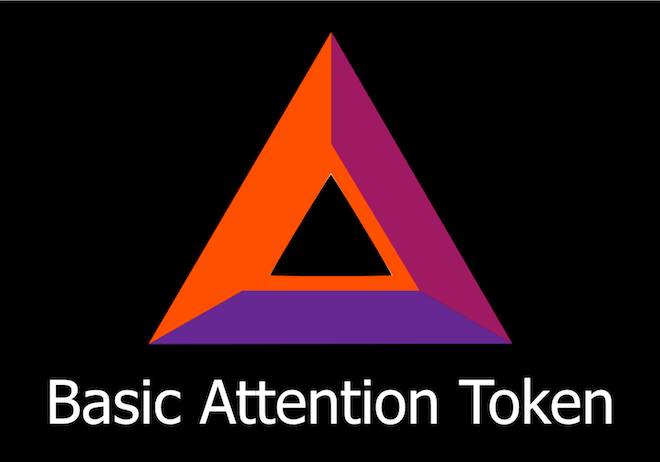 This idea has turned into reality with the Basic Attention Token (BAT) project. Is BAT a good project for investment? Let’s find out. In a nutshell, BAT is an Ethereum-powered digital advertising platform which aims to revolutionize the broken digital ad industry by eliminating middlemen, third-party tracking, and fraud. Its goal is to create a transparent and efficient digital ad market where users’ attention is tokenized and commoditized. Users are compensated for viewing ads with their privacy protected. Traditionally, a digital ad involves two actors: advertisers and publishers, leaving users out of the equation. The BAT concept fundamentally changes the way users, publishers and advertisers interact, thus, gaining tremendous benefits as a whole as illustrated in the diagram below. Other features include analytics dashboards, ad matching algorithms, attention measurement systems and incentive programs. BAT is currently integrated into the Brave browser which was developed as the first stage of the project. Brave is an open-source, privacy-focused web browser with a built-in ad blocker. By blocking ads and trackers, Brave speeds up the loading time and save data charges since the unwanted content is not being downloaded (especially for mobile). It also improves privacy for users. As a result, users can safely and anonymously surf the web. Furthermore, users can also monetize their attention by opting into BAT ads and receive a share of revenue (up to 70%). They can also support their favorite content creators with monthly contributions through Brave Payments using its browser-integrated wallet. That said, the majority of BAT’s utility is still under development. The idea of decentralizing the digital ad ecosystem is indeed intriguing. BAT wants to eliminate a vast number of intermediaries who add no value to the users, advertisers or publishers. The system removes the need for verification and third-party tracking entirely, instead, utilizing its in-device machine learning to serve users with relevant ads based on content-targeting. Fewer middlemen, as a result, means more revenue for publishers, better customer privacy, faster loading time for users, efficient delivery of ads, and less fraud for advertisers. It’s interesting that BAT allows advertisers to incentivize users to watch ads with $BAT. As described in their white paper,‘advertisers send a payment in token along with ads to users in a locked state, which will be unlocked once users view the ad, [with compensation up to 70%]. From a user’s perspective, these features will likely drive mass adoption. Brave browser is a working product which has experienced tremendous growth since its launch in January 2016. It reached its first milestone of 250,000 monthly users after 1 year. Since then, it has scaled exponentially to over 3 million monthly active users. It has experienced 1200% growth for 20 months. Also, the team has recently started beta testing for BAT Ads. The outcome of this trial will determine the future growth of the project, which allows its vision to turn into reality when the platform starts generating revenue. The difference between Brave and other web browsers is its privacy feature. The Brave Ledger system uses the ANONIZE algorithm (Zero-knowledge proof) to keep user browsing data private. The goal is to maintain the transparency of the transaction while keeping the user’s identity anonymous. In addition, Brave recently integrated Tor – a software enabling anonymous communication into its new private tab (beta). This feature provides better protection for users, not only on devices, but also over the network against network surveillance and trackers. This key selling point will potentially drive mass adoption as users increasingly demand online privacy. At this stage, BAT has partnered with some of the big names including digital money platform Uphold, internet search engine DuckDuckGo, media groups like the Dow Jones Media Group, Townsquare. They also launched a referral program for Youtube and Twitch, as well as, allowing content creators to earn revenue through Brave. Despite a limited number of players in the decentralized ad market, BAT still faces fierce competition from mighty firms such as Google and Facebook, who technically dominate the online ad landscape with a proclaimed market share of over 73%. These current platforms are very popular among publishers and advertisers due to their large pool of users. Also, Facebook and Google ads are native and in line with their search results and newsfeed. BAT, on the other hand, currently only offers display ads which limit its competition to Google Adsense. Therefore, asking advertisers to adopt BAT as an alternative will likely to be challenging. Moreover, BAT’s popularity relies mainly on Brave’s adoption (at this stage). It is a daunting task to compete head-to-head with well-established browsers like Google Chrome, Internet Explorer, Safari or even Eich’s former company, Firefox. Therefore, it is critical for the team to not only drive mass adoption for Brave, but also increase utility for BAT in other browsers, platforms, and apps. To drive mass adoption of Brave, BAT uses referral programs across different platforms such as Youtube, Twitch, etc. However, these programs have their downsides. Historically speaking, the infamous Pay to Surf model launched in the late 1990s was not successful. Despite its potential to drive adoption, the incentive might bring ill-intentioned users who are driven to earn quick cash by manipulating their views rather than having a genuine interest in purchasing or using the product. Consequently, it attracts a pool of low-quality users who churn rather quickly, thus, resulting in low conversions for advertisers. This is a big concern that holds advertisers back from using Brave. Another adoption issue is BAT’s wallet. At this time, BAT’s wallet is a single-directional wallet, meaning it can only receive external funds which cannot be withdrawn.‘Its sole purpose currently is to anonymously and securely contribute to publishers of websites of user’s choice’. As a result, users have to use a third-party wallet like Uphold to convert fiat to BAT and vice versa for withdrawals. This extra step might put users off since it requires a long process of verifying the account (KYC/AML), paying associated fees and meeting transactions limits. As a result, it may limit the adoption from regular internet users who want to add funds for services through Brave. As stated in its white paper, ‘in the early stage, the flow of BAT token will be regulated by Brave’. Because of this and the previous point, BAT seems pretty centralized. However, we understand that KYC/AML is part of the regulation with which Brave/BAT must comply. Since BAT runs on the Ethereum network, it also faces scalability issues and would likely benefit from an Ethereum scalability solution such as Plasma. Currently, BAT tackles this issue through batching by combining multiple transactions into one large contribution to minimize network congestion and fees. It works in the case of publishers, who only receive their contribution in a batch every month. However, as the network grows, the demand for instant transactions may increase. Therefore, this concern is something that the BAT team should keep in mind for the future. Despite some concerns, I’m quite positive about the BAT project due to its intriguing concept, privacy-focused platform, and incentive model that benefits users. Also, their team is solid with a proven record of growing the Brave user base as well as showing some foresight in addressing issues like ad fraud. The online ad market is lucrative and is growing dramatically. If BAT improves its partnerships and is able to integrate into other apps or platforms, it has a good chance of becoming a standard attention token on the Internet. Thus, it can drive greater utility for the BAT token and hence raise market demand. 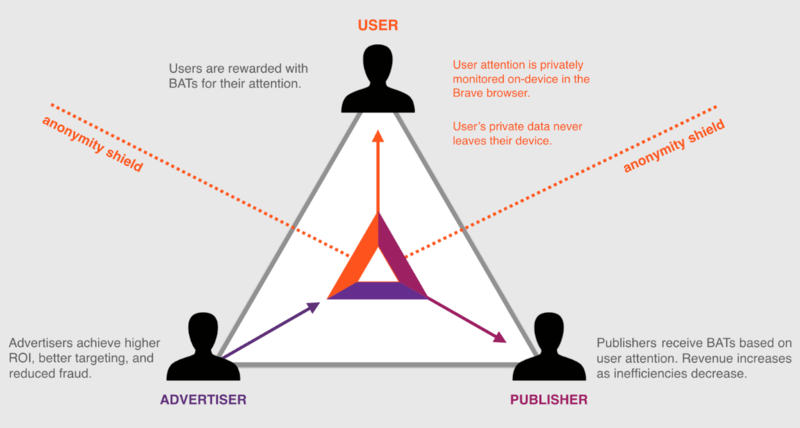 In addition, despite stiff competition with other browsers, Brave’s privacy features and token-based ecosystem can appeal to many users and lead to mass adoption once they integrate a multi-directional wallet and launch BAT Ads. Furthermore, as users support their favorite publishers by contributing BAT, once it reaches $100 threshold, publishers are incentivized to join BAT and help to grow the ecosystem further.